For the month of April and May 2016, 10 at Claymore, Pan Pacific Orchard Hotel will be bringing to you the Pearl of Orient Penang Fiesta. Executive Chef Andy Oh, a Penang boy himself will be serving an ensemble of dishes which the Malaysian town is famous for. 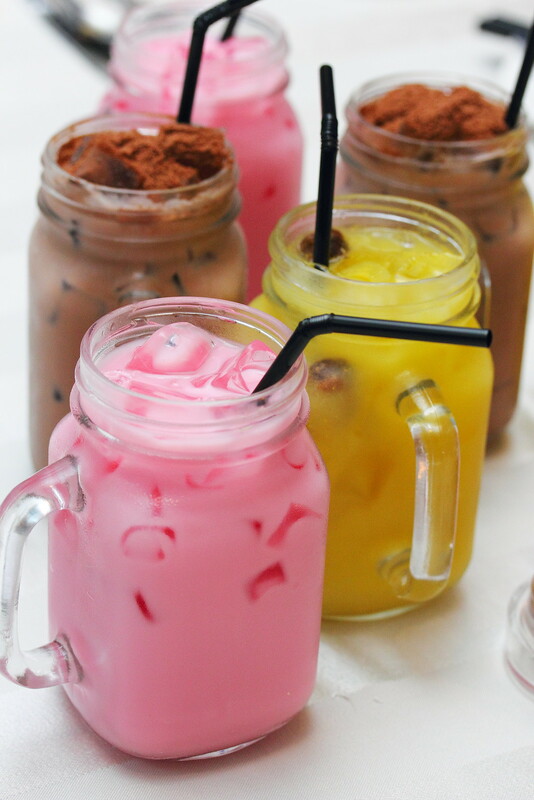 Besides the Penang feast, the restaurant has also put together some timeless favourite beverages such as the Milo XL, Bandung and Calamansi Juice at $6 nett each. The spread at the buffet line is quite extensive. I started with some light bite in the XO Popiah. 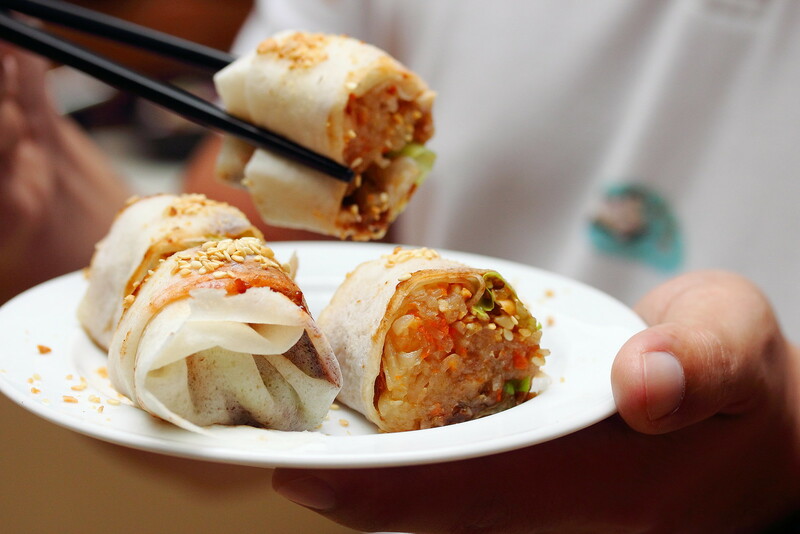 An interesting twist to the normal roll but I thought the XO sauce was a bit heavy throwing the balance off. 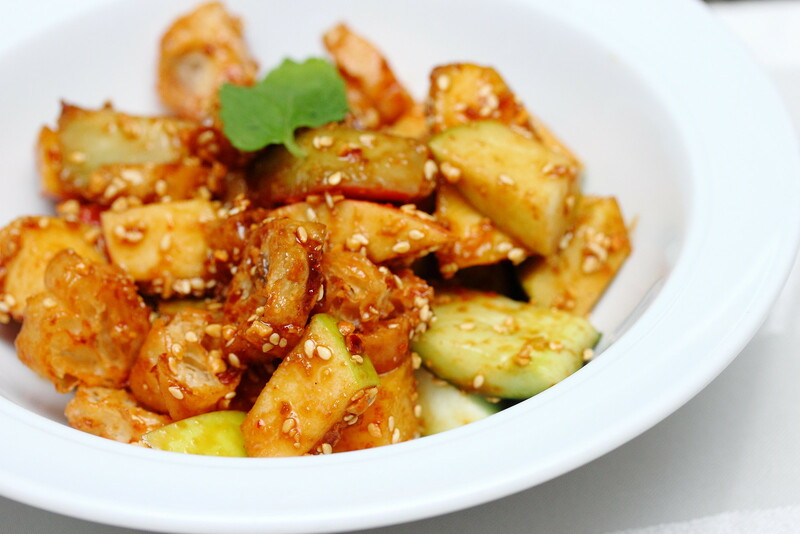 The light and refreshing Penang Rojak tossed in a savoury prawn paste is a delightful starter to whet up the appetite. 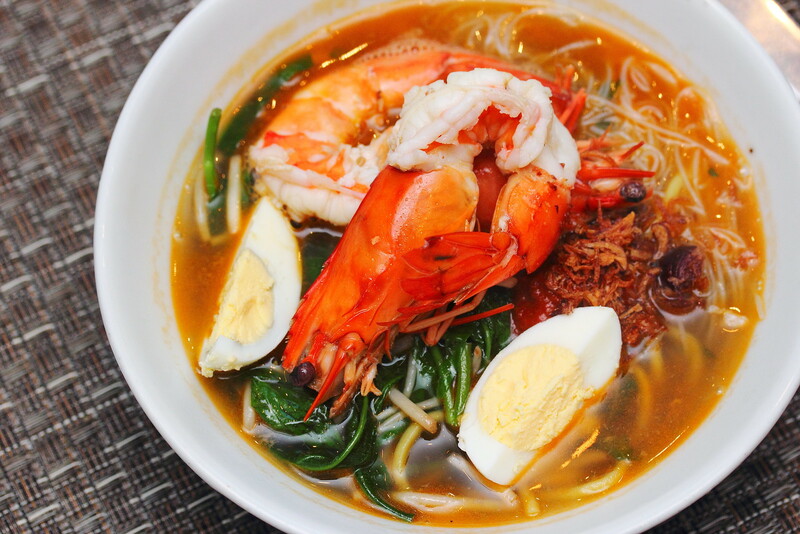 Moving on to the noodle section, I tried the Penang Prawn Noodle. The broth is robust and packed with flavour. It also comes with an hint of spiciness. One of the real deal at the Penang Fiesta is the Assam Laksa. 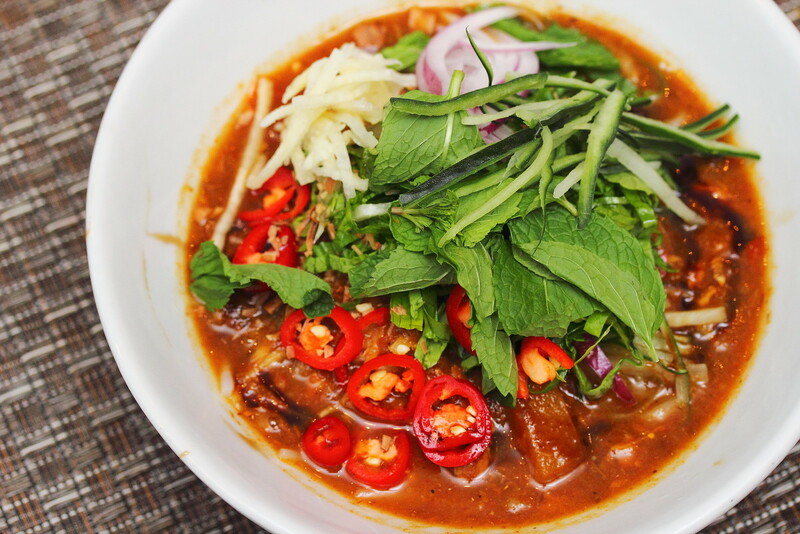 All the components of a good bowl of assam laksa can be found in it. Definitely one of the best I have eaten for a long while. This is as close as we can get for the authentic flavour of Chef's hometown. 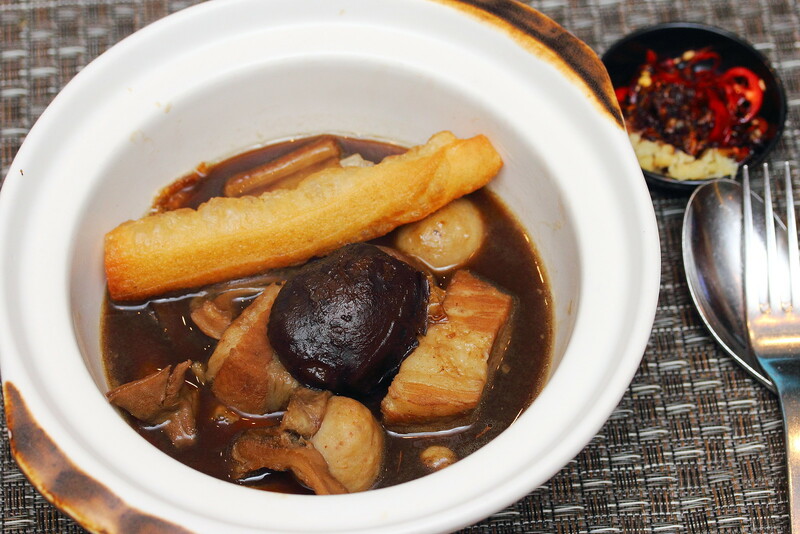 For those that like Malaysian style Bak Kut Teh, you can savour it at the Penang Fiesta too. The claypot comes with pork belly ribs, pork intestine, pig stomach, meatball, bean curd stick, dough fritter in a rich and intense flavoured broth. However it seems the kitchen was a bit heavy on the sodium chloride. 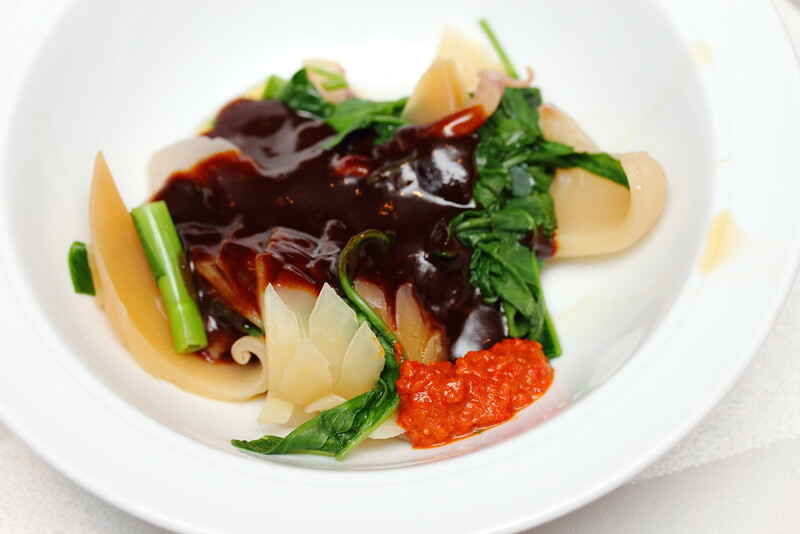 Another dish that can be better is the Cuttlefish Kangkong. The most important component of the dish, the sauce was too sweet and lacked the prawny pungent taste. Sorry to say that but I thought it tasted more like the yong tau foo sweet sauce. Lor Bak is another staple of Penang cuisine. 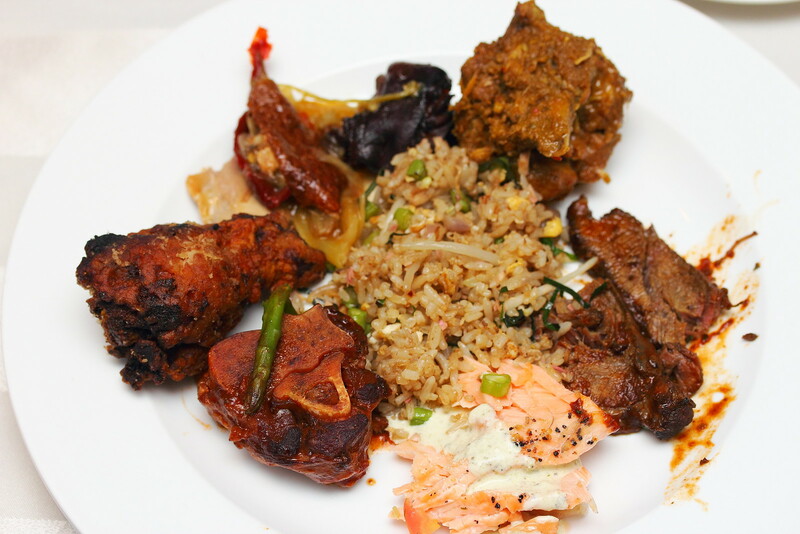 The version at the buffet is made using chicken instead of pork. If not for the saltiness, this would be a very enjoyable bite. 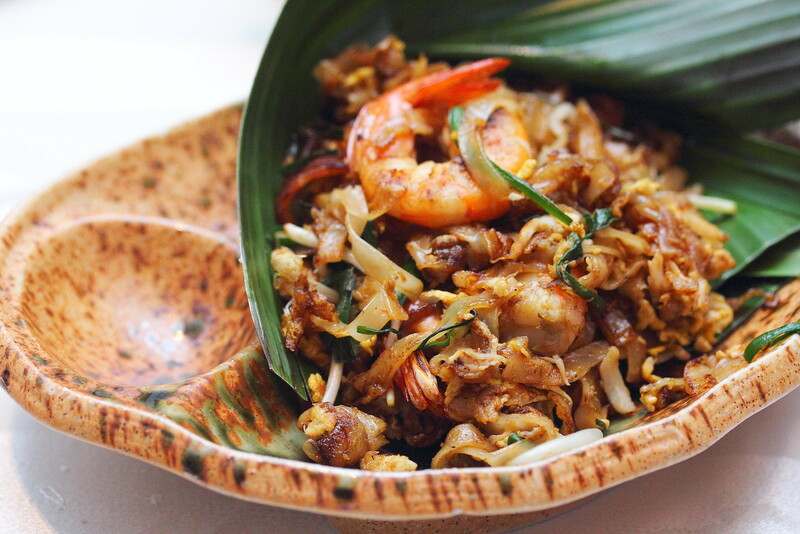 An all time favourite is the Penang Char Kway Teow. The smokey wok hei is an excellent showcase of the chef's control of the fire and wok. 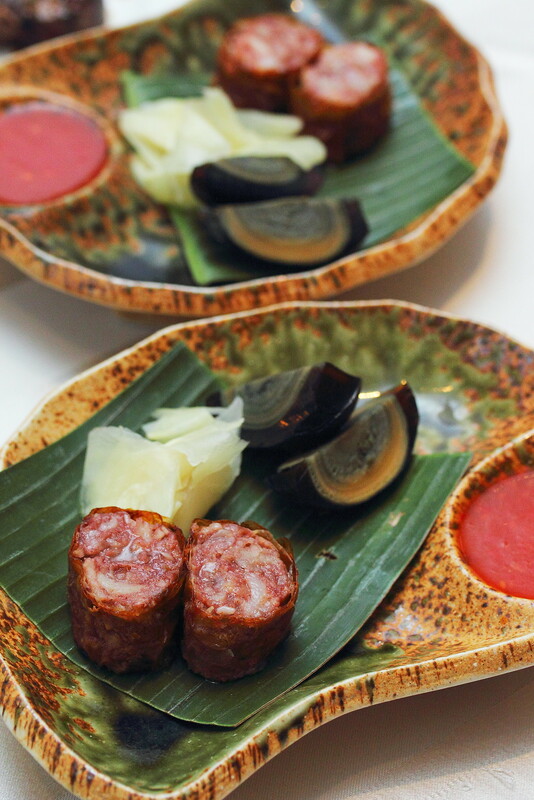 This is a dish not to be missed if you have the chance to dine at Pan Pacific Orchard Hotel. By the time for dessert, I was already too stuffed. Hence I just try only a few items from the dessert section. 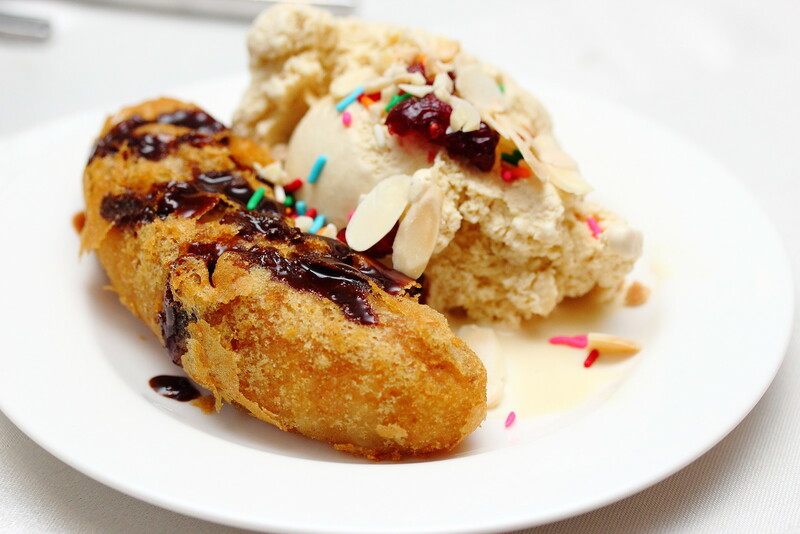 The Banana Fritter with its crispy exterior is worth trying. Furthermore, the sweet snack is seldom served in hotel buffet. To elevate the presentation and enjoyment, I told a scoop of the Gula Melaka Ice Cream and added some condiments. 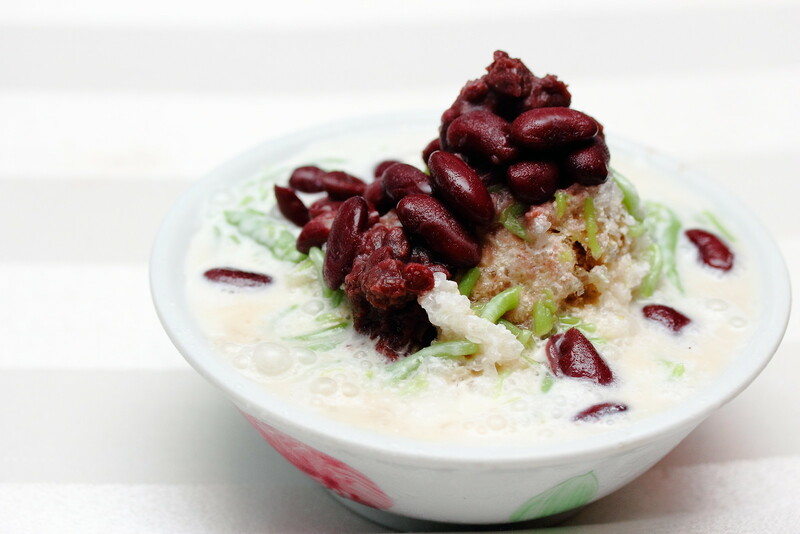 Great to have my favourite shaved ice Chendol in the dessert section too. The sweetness of the dessert, coupled with the fragrant coconut milk and gula melaka, is the perfect ending to a delicious night of Penang fare. The Pearl of Orient Penang Fiesta will be available from April to May 2016. 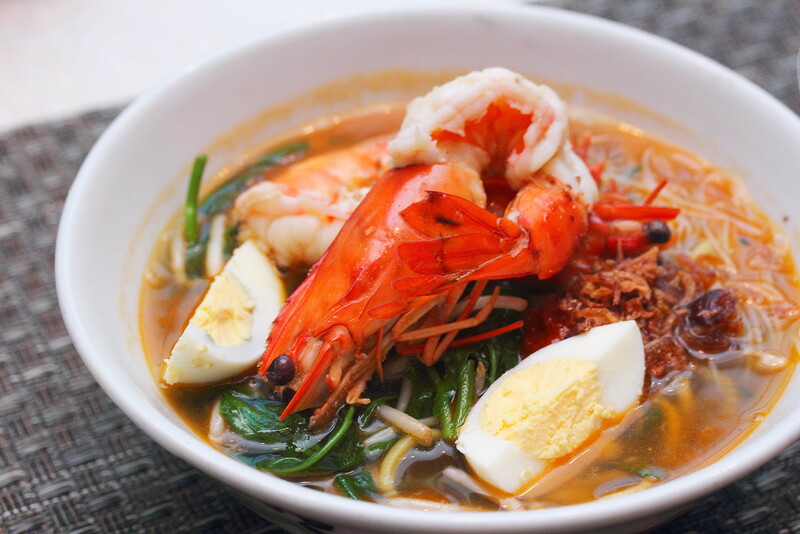 During the same period, the lobby lounge will be offering a three-course menu featuring chicken lor bak as appetiser, a choice of assam laksa with barramundi fillet, live king prawn noodle broth or Penang char kway teow for main course, ending with the chendol for dessert.